Your bedroom should feel like a retreat. If you’re single, it may be the one room of the house that your guests aren’t allowed into. It’s where you rest and where you get ready for whatever the day has in store. If you have a family, the master bedroom is where your children take shelter from monsters hiding beneath their beds. When your kids get older, the master bedroom is where you stay up late reading, listening for the tell-tale sounds of a teenager rushing in just before curfew. The master bedroom is your refuge. It should be comfortable, functional, and stylish, and the best way to achieve all three is with custom furniture. It should be carefully made by craftsmen who take pride in their work, in the style you choose, and with dimensions that fit comfortably into your space. Custom bedroom furniture for a master bedroom should also incorporate storage spaces and other features that keep everything you need for comfort close at hand and neatly organized. When it comes to choosing a style for furnishing your bedroom there is no right answer. Luxurious bedroom furniture ranges in style from the very ornate to the very simple. Just be aware that embracing too ornate a style or an extreme trend when decorating a master bedroom can run the risk of it becoming dated very quickly. Simple, functional pieces with clean lines and a high level of fit and finish tend to last much longer master bedroom furniture. Classic hardwood beds, dressers, and nightstands transition well between most types of decor. Hardwood has the strength to last for generations and natural wood finishes are incredibly versatile. Solid hardwood is also highly durable and can hold up to the wear and tear that comes with daily life. When you are thinking about wood furniture for your master bedroom, there are some important factors to keep in mind, the first being size. Single individuals may only need a twin bed, but may want the extra room to stretch out that a double offers. Families may make due with a queen but will prefer the extra room of a king for those nights when nightmares strike and the kids want to join. If you’re very tall, then a bed with extra length will keep your feet from dangling off the edge. Storage Spaces — While a dresser might suffice to store your socks, underwear, and jeans, it doesn’t usually offer enough space to store blankets, comforters, and extra pillows too. Large drawers under a bed do, and they’re perfectly located for pulling an extra blanket out on a chilly winter night or when your partner is hogging the comforter. A wardrobe not only provides drawers but a place to hang dress shirts, blazers, and other clothing. If your room is on the smaller side, a tall dresser can help preserve some floor space. Convenience — A night stand is a convenient place for a table lamp or an alarm clock. Include a drawer and you will have a handy place to store remotes, tablets, or a journal. Add in a space below the drawer and it becomes a convenient bedside bookcase as well. Ergonomics — Your bed is more than a place to sleep. It’s a place for reading, working on your laptop, or watching movies with a partner. It should have a solid headboard to support you when you’re sitting up as well as plenty of space for you when you’re lying down. When you are thinking through all these different factors, just remember to ask yourself what will make you feel the most comfortable. Your bedroom, after all, should be a place of respite, not anxiety! While custom bedroom furniture for a master bedroom is ideal, homeowners may not know where to look for truly custom bedroom furniture or how to even start the process of finding the perfect pieces. Master bedroom furniture available online is often limited in sizes and style and if you’re looking for furniture to fit a California King bed, you may not be able to find it in a style that really suits you. Many furniture stores may offer some limited customization, but styles and finishes tend to be quite limited and often this furniture is veneer over softwood that will not hold up, making it not worth the price of customization. However, homeowners in Dallas can get custom furniture for a master bedroom, or for any room in their home. 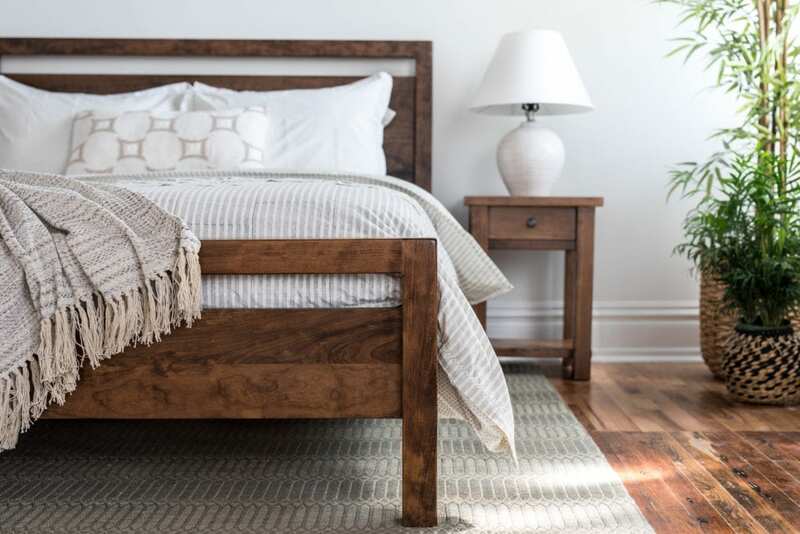 Located in the heart of Deep Ellum in the Art District is the Unruh Furniture showroom, specializing in custom furniture handmade by craftsmen in the style and finish that you choose. Furniture comes in a range of six different hardwoods and twelve finishes that can fit beautifully into almost any style or decor, and you will work closely with employees to envision and create the furniture that ultimately helps turn your bedroom into the private retreat that makes you eager to be inside it at the end of every day. Unruh Furniture is dedicated to crafting the best high-end custom bedroom furniture for a master bedroom, or for any room of your home. Our furniture is backed by a lifetime warranty that will repair scratches, chips, and other damage no matter who is at fault. Schedule a visit to our Dallas showroom in the heart of Deep Ellum to choose the custom bedroom furniture that fits you. 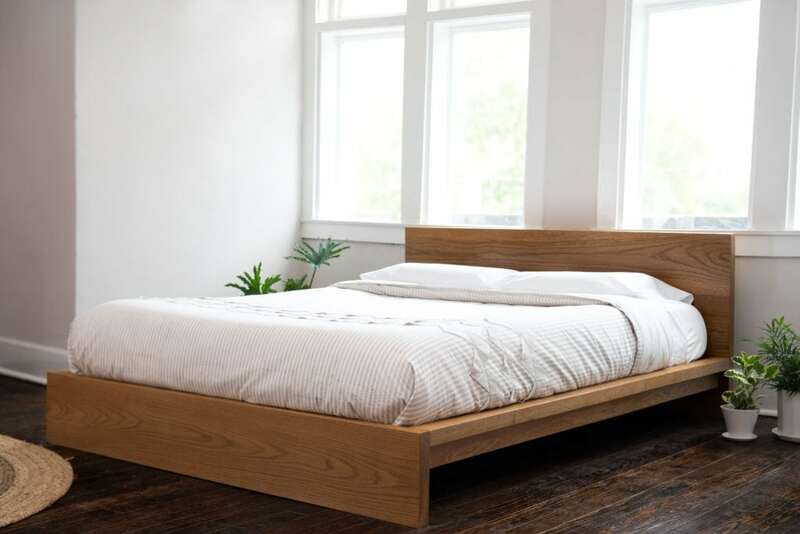 Image 1: The Westside Platform Bed by Unruh Furniture is available in all sizes and can be customized with drawers on either or both sides. Image 2: The Denton Bed and Tennessee Nightstand by Unruh Furniture can be customized to fit any sized master bedroom. 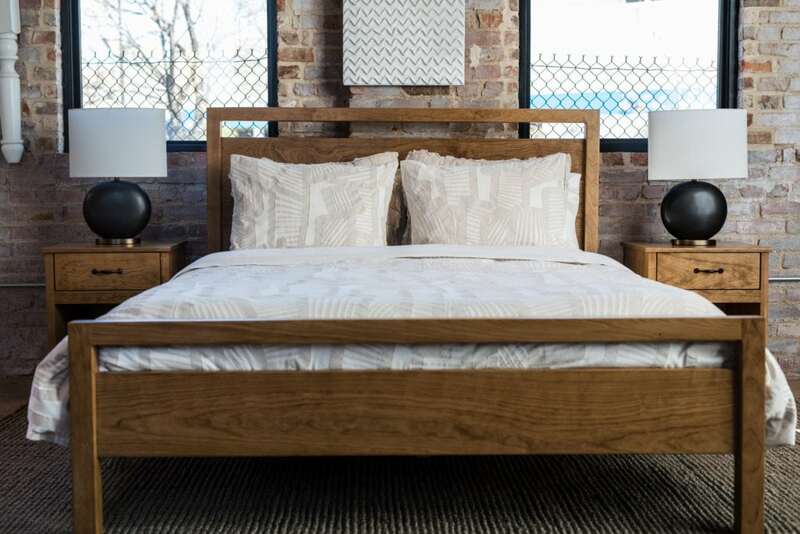 Image 3: The Unruh Furniture Showroom in Deep Ellum lets Dallas Homeowners see the quality of furniture and design the custom bedroom furniture that fits their master bedroom.